While feet may seem simple, treating your foot pain is a multi-faceted process that can involve custom orthotics, physical therapy and passive therapy stabilizers. Custom foot orthotics are commonly used to control abnormal foot mechanics, aid with injury recovery and provide relief from painful foot pathologies. A frequent fear among first time foot orthotic users is the development of a long-term dependence upon the orthotic for comfort and injury-free activity. It’s a reasonable concern, but depending on the reason for the orthotics this may or may not be true. If the orthotics are required because of an acute injury, such as heel pain, forefoot pain or an ankle injury, they can typically be used as a tool to aid with recovery and then you can wean off of them once discomfort or inability has resolved. If the orthotics are needed because of a systemic disease or long-term pathology such as arthritis, diabetes or some movement disorders, the custom foot orthotics are typically a long-term solution used to improve quality of life and daily comfort. In both cases, the orthotics are used to provide passive support for the foot in order to redistribute pressure and to reduce or realign joints forces, muscular activity and soft tissue strain. While foot orthotics are used as a form of passive support, physical therapy is commonly used as a form of active support by improving muscular strength, flexibility and endurance, and to recover from various injuries. With this in mind, foot care professionals commonly work along side physiotherapists to improve factors such as balance, lower limb flexibility and lower limb strength. Until recently, however, little focus has been placed on the muscles inside the foot. Strengthening the muscles inside the foot may provide a form of internal support, potentially reducing occurrence of injury. If the foot is more prepared to support the weight of the body and to respond to the various daily activities it undertakes, it seems fairly intuitive that this may result in reduced injury rates and a better environment for injury recovery. Fortunately, there is some recent research to support this notion! Let’s break it down. So, the bottom of the foot has four distinct layers of muscles, all with important functions. 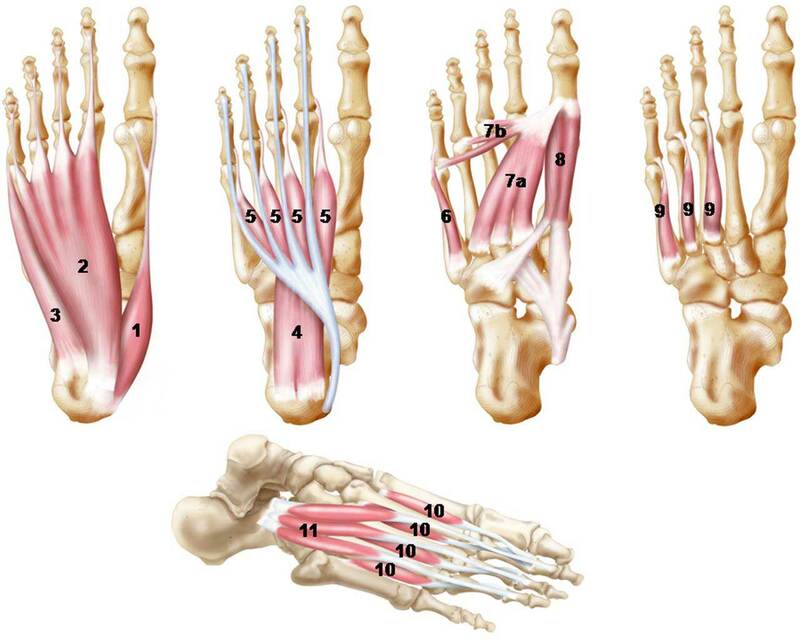 As a whole, this grouping of muscles is used to stabilize the foot; why they’re called the ‘local stabilizer’ muscles. With this in mind, these muscles do not necessarily produce movement of the foot, their role is to support and stabilize the foot while larger muscles in the lower leg produce foot movements. The muscles in the lower limb, also known as ‘global mover’ muscles, are responsible movements of the foot in all directions. 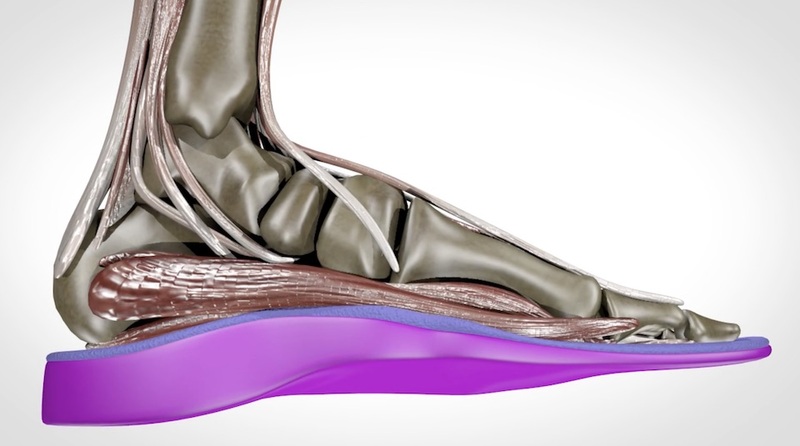 According to researchers at Harvard Medical School and the University of Delaware, the ‘local stabilizers’ and ‘global movers’ are part of a larger system called the ‘foot core system.’ This system is comprised of three interacting components: the active subsystem, the passive subsystem and the neural subsystem. The active subsystem is divided into the ‘global mover’ muscles and the ‘local stabilizer’ muscles which act together to produce the forces needed to create movement. The passive subsystem consists of the bones, ligaments and plantar fascia in the foot and is responsible for giving the foot it’s shape and providing attachment points for the muscles. The neural subsystem consists of the sensory receptors embedded in the tissues of both the active and passive subsystems. Input from these receptors is used to gain information about the environment and how the body needs to respond to it. Research reports that the interaction of these three subsystems is important for normal function of the foot, especially in cases of the increased demand such as running or living an active lifestyle. But, what good is research if you cannot put it into practice? Through training of the passive stabilizers you can improve the function and interaction of the foot core. It is reported that the movement of these muscles not only stabilizes the foot while the muscles in the leg (global movers) contract to produce foot movement, but also that they provide valuable sensory feedback by way of the sensory receptors in the neural subsystem. This feedback is used to help maintain the posture and arches of the foot while being used. When the passive movers become fatigued, their ability to provide sensory feedback is reduced and the posture of the foot may be compromised. Increasing the strength and endurance of these muscles with specific exercises has been shown to increase both the activity and size of the important passive stabilizer muscles.